Over the years, biomedical researchers have increasingly focused on developing efficient and reliable methods for precise and targeted changes to virtually any point of genome of any living cell. Recent advances in the genome engineering has triggered several biological researches and translational applications. Economical manipulation and modification of genomic sequences enable molecular biologists identify and characterize key genetic determinants to facilitate the investigation of various biological processes. Genome editing via clustered regularly interspaced short palindromic repeats (CRISPR)-CRISPR-associated (Cas) is considered as an innovative technique in programmable and high-throughput functional genomics. CRISPR-Cas system consists of pattern of repetitive sequences in the DNA of certain bacteria, who used it as an adaptive immune system to find a protection mechanism against invading foreign DNA. In less than a decade, a host of novel targeted techniques and genomic engineering tools have been developed that facilitates precise and diverse genomic modifications in a variety of organisms and tissues. The recent tool having enormous potential in biomedical researches is the clustered regularly interspaced short palindromic repeats associated Cas9/sgRNA system, also called Cas9/sgRNA. Cas9 protein is an RNA guided endonuclease. Along with its variants it has generated considerable excitement versatile genomic engineering tool in the development of genetically edited (GE) crops. Primary areas research for this include examining gene function, understanding the regulatory signaling networks, and rewiring sgRNA for advance loss-of-function screening. This will help in combating biotic and abiotic stresses, thereby leading to the development of climate resilient crops and sustainable agriculture practices in the coming years. In the past few years research and development of CRISPR or clustered regularly interspaced short palindromic repeats has allowed molecular biologists to designs solutions for repairing cells by genome editing. This method allows a change to a specific genome by the introduction of a new function or by correction of a mutation. The exceptional fidelity, simplicity of construction, and low cost has triggered a monumental demand for the several solutions offered by the global CRISPR and CRISPR-associated (Cas) genes market. The market is riding a wave of success as these factors have augmented the uptake of this method in several molecular biology laboratories. The well-documented research report presents a fair case study of the global CRISPR and CRISPR-associated (Cas) genes market. The report includes a SWOT analysis and Porter’s five forces analysis, which help in understanding several facets of the global market in greater depth. Furthermore, analysts have used primary and secondary research methodologies, which ensure the authenticity of the facts. This information in the report has also been seconded by market experts with comments and recommendations about the subject matter. The comprehensive research report is aimed at guiding each of its readers to make well-informed business decisions. The products available in the global CRISPR and CRISPR-associated (Cas) genes market are DNA-free Cas and vector-based Cas. The widening applications of these are expected offer several lucrative opportunities to the global market. Out of various applications, genome engineering is expected to be a key contributor to the soaring revenue of the overall market in the near future. This trend will be attributable to eh increasing uptake of genome editing method for the therapeutic development and germline modifications. The report indicates that advancements in plant genome engineering will result in positive impact on the global market. Analysts predict that CRISPR could be the next biotechnology treatment that has the ability to gradually replace the present single-antibody drugs. Genome engineering is anticipated to pick up a phenomenal pace in the coming years as it is being developed to build an immune response for targeting cancer. The widening application of these methods in the field of oncology is likely to change the game for the global market in the coming years. In terms of geography, the global market is segmented into North America, Asia Pacific, Latin America, the Middle East and Africa, and Europe. North America is estimated to lead the global CRISPR and CRISPR-associated (Cas) genes market as the U.S. has shown a keen interest in developing effective therapeutics. Asia Pacific is also expected to offer several growth opportunities to the overall market as the region is facing a challenge of mounting unmet medical needs. 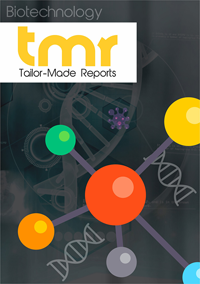 The report has identified the following as the key operating players in the global CRISPR and CRISPR-associated (Cas) genes market: Thermo Fisher Scientific, Inc., Caribou Biosciences, Inc., CRISPR THERAPEUTICS, Addgene, Mirus Bio LLC, Merck KGaA, Editas Medicine, GE Healthcare Dharmacon Inc., Takara Bio USA, Horizon Discovery Group plc, and Intellia Therapeutics, Inc. Analysts predict that these companies will focus on making strategic collaborations to ahead of the competition present in the overall market.